Makes 12 heart shaped, bite-size, muffins, teacakes, biscuits or candies. 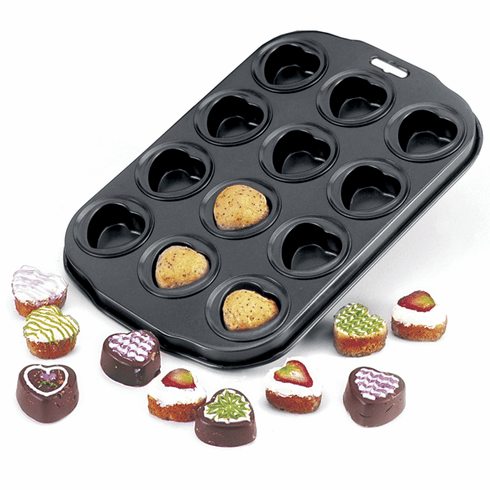 Each heart shaped cup makes 1.5"/4cm treat. Durable steel construction with quality nonstick coating for effortless release. Generous rim ensures safe, secure transport to and from the oven. Recipe and instructions included. Hand washing recommended.